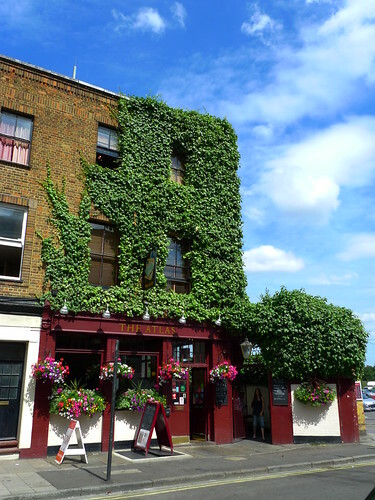 This week's featured article is a ivy-covered pub in West Brompton, The Atlas, SW6 1RX. It's many years since it's been in the Good Beer Guide, but it's decent. 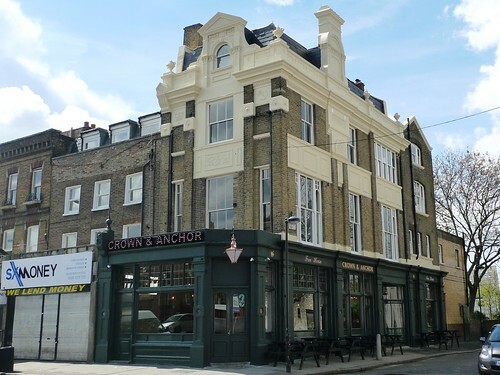 Two new additions are Crate, a brewpub and pizzeria in a sort of West Coast US style, out in a former industrial unit of Hackney Wick; and Court Cafe, a greasy spoon by Elephant & Castle. 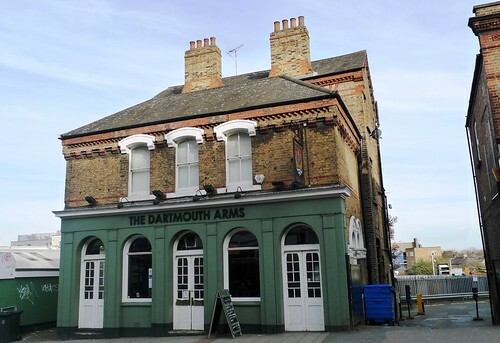 We've now marked Lemon Monkey in Stoke Newington as closed, because it was replaced by the Monkey Bar some time ago. It still serves cake and coffee for the daytime crowd, so it's apparently not completely different. 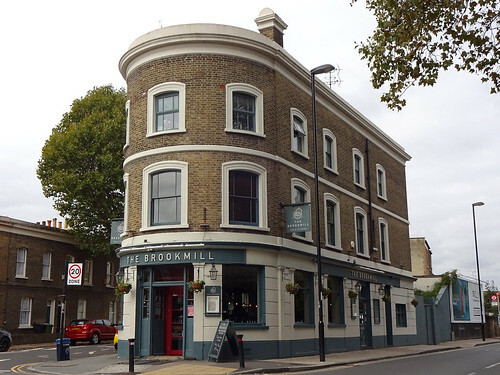 Also, an online commenter points out that The Castle pub in Battersea is actually still open, despite closure earlier this year due to being sold to developers. 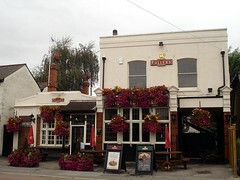 It's still under threat though, so good luck to them!